Vijaya Bank which is one of the nationalized banks in India and is headquartered at Bengaluru has released the notification for the post of “Probationary Asst. Manager (Credit) in JMG Scale-I in General Banking stream – Credit Officer 2018”. Aspirants who are selected for the post of Probationary Assistant Manager will have to undergo a course for a period of 3 months and have to clear the test which is conducted at the end. The aspirants will also be paid a stipend for the course duration and it is mandatory to do the course before joining as the Probationary Assistant Manager. The total number of Vacancies available for the Vijaya Bank Credit Officers Recruitment 2018 – Probationary Assit. Manager (Credit) in JMG Scale – I in General Banking Stream is 330. The selected candidates will be posted anywhere in India, depending on the requirement of the Bank. *In addition, officers are also eligible for Dearness Allowance, City Compensatory Allowance, House Rent Allowance (HRA), Furniture and Fixtures, Accommodation (in lieu of HRA), Leave encashment & LTC encashment in lieu of LTC, Reimbursement of Conveyance, Medical Aid, Hospitalization expenses, Retirement benefits, Loans at concessional rates as per the rules of the Bank. They are eligible for liberal welfare schemes & benefits. Minimum age will be considered as on 1st August, 2018. A candidate must have been born not earlier than 01.08.1988 and not later than 01.08.1997 (both days inclusive). Age Relaxation is applicable as per the norms. Aspirants who wish to apply for the post of Vijaya Bank Credit Officers Recruitment 2018 – Probationary Assit. Manager (Credit) in JMG Scale – I in General Banking Stream should have the following educational qualification. A Degree (Graduation) in any discipline with minimum 60% marks AND MBA/PGDBM/PGDM/PGBM/PGDBA – (with specialization in Finance) – through full time course from a reputed institution (two/three year programme) / Post-graduation degree in Commerce/ Science / Economics/Law. No Experience is needed to apply for the post of Vijaya Bank Credit Officers Recruitment 2018 – Probationary Assit. Manager (Credit) in JMG Scale – I in General Banking Stream. So aspirants who have the necessary qualifications can apply for the post available. All the educational qualifications mentioned should be from a University/Institution/ Board recognized by Govt. Of India/ approved by Govt. Regulatory Bodies and the final result should have been declared on or before 01.08.2018. The selected candidates who are appointed in the services of the Bank on completion of the course and exit test have to execute an Agreement / Security Bond at the time of joining the Bank to serve the Bank for a minimum period of Three (3) years from the date of joining the Bank as Probationary Officer upon successful completion of the course. In the event of candidate abandoning, absconding or resigning the services of the Bank before completion of three years, he / she shall be liable to compensate the Bank with an amount of Rs. 3,00,000.00 (Rupees Three lakhs only] + applicable taxes. Sectional Cutoff marks and overall cutoff marks will be there for this online Exam. Merit list of the candidates based on the marks obtained by them in online examination (marks obtained in General Awareness with special reference to Banking and Financial Management paper) will be prepared in descending order for the respective categories i.e. SC/ST/OBC/GEN. 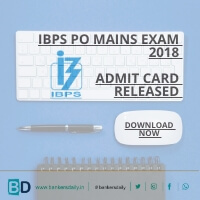 Candidates securing the minimum qualifying marks as decided by the Bank for Online Tests and ranking sufficiently high in the order of merit shall be called for Personal interview. Mere passing in the Online Test shall not vest any right in a candidate for being called for Personal Interview. In case of equal marks by two or more candidates, the merit order of such group of candidates will be on the basis of Date of Birth i.e. Candidate senior in age will be placed higher in the merit List.The Bank may conduct the selection process only on the basis of Interview without holding online test. Accordingly,if online examination is not conducted, adequate number of candidates as decided by the Bank will be shortlisted for the interview based on their qualification, experience, and overall suitability for the post. Aspirants can apply for the Vijaya Bank Credit Officers Recruitment 2018 – Probationary Assit. Manager (Credit) in JMG Scale – I in General Banking Stream through the official website of Vijaya Bank or from the link that is provided below. Aspirants can check the official notification of the Vijaya Bank Credit Officers Recruitment 2018 – Probationary Assit. Manager (Credit) in JMG Scale – I in General Banking Stream from the link given below. 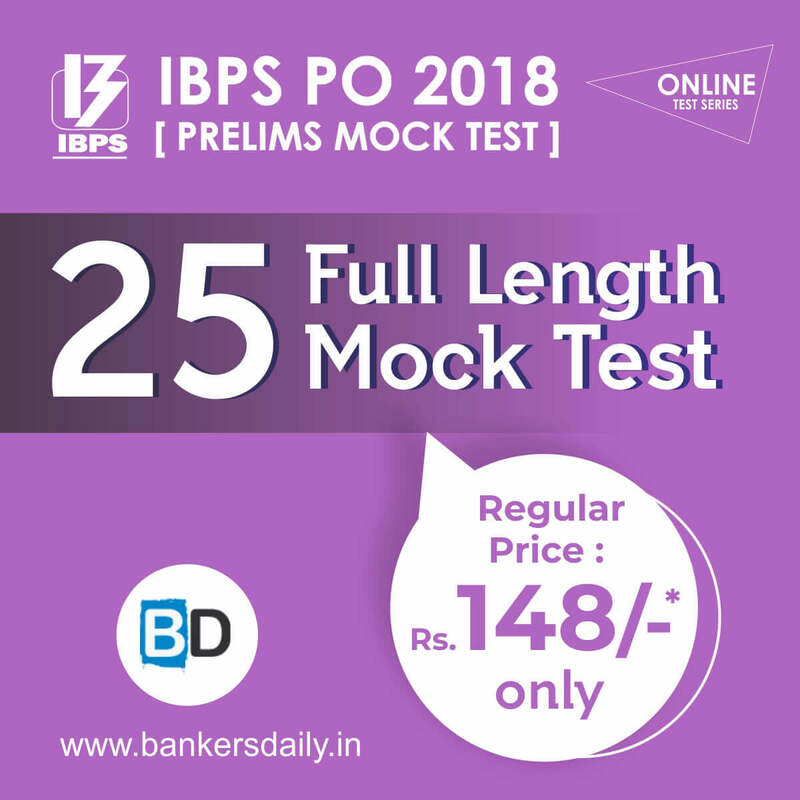 Get 15 FULL LENGTH MOCK TEST SERIES for IBPS RRB PO Mains Exam 2018 in our Bankersdaily Test. 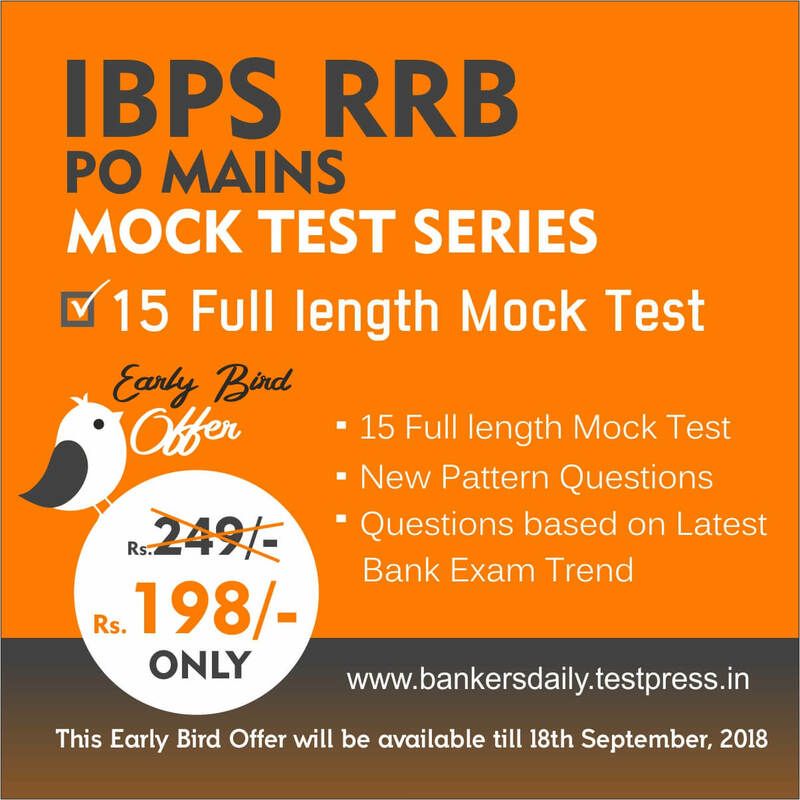 Get the Test Series now @ Bankersdaily.